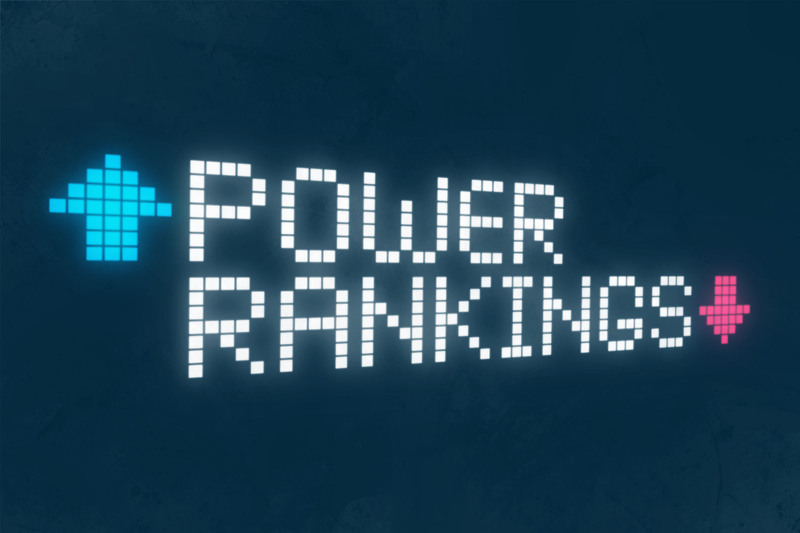 Power Rankings: Week 15 - The Point Data-driven hockey storytelling that gets right to the point. What else can we say about Tampa? 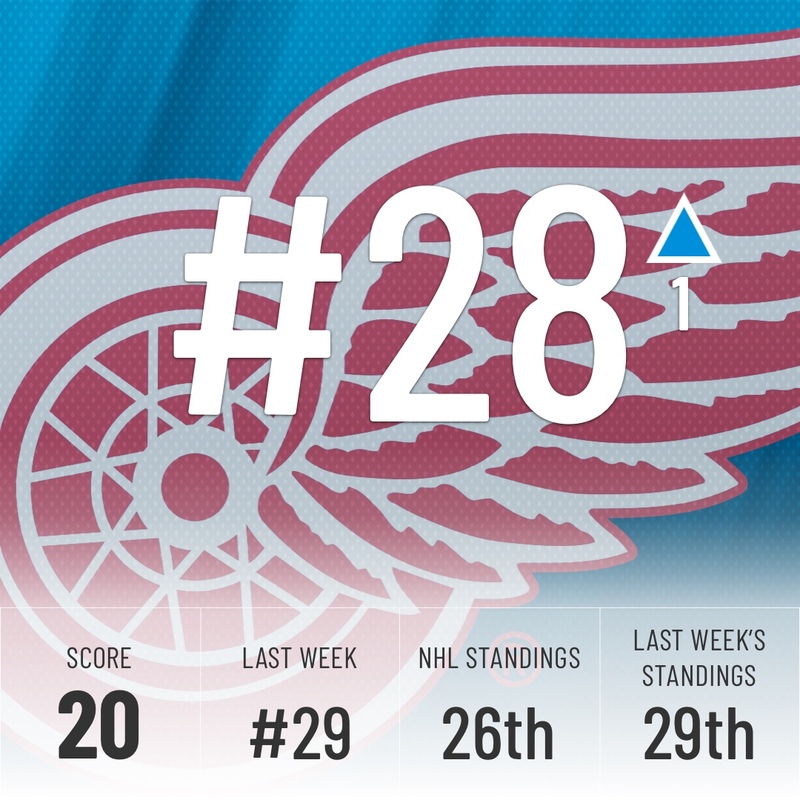 Even after going only 2-2-0 this week, they’re so far ahead of anyone in the standings it didn’t even matter. They’ll remain here until they go on a massive cold streak, if they even go cold at all this season. 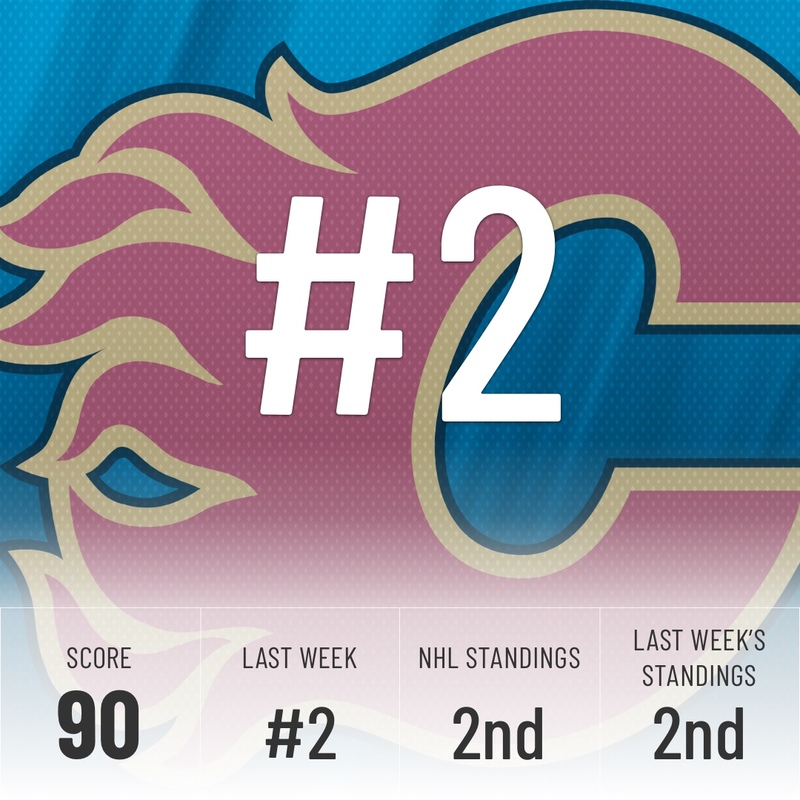 2nd in the standings, 2nd in our Rankings and 2nd in goal differential, Calgary is taking a stranglehold on best of the rest behind Tampa Bay and are the class of the Western Conference. A 7-1 beatdown of the Arizona Coyotes doesn’t hurt either. The Sharks started 2019 on an absolute tear, winning seven straight to start the new year. 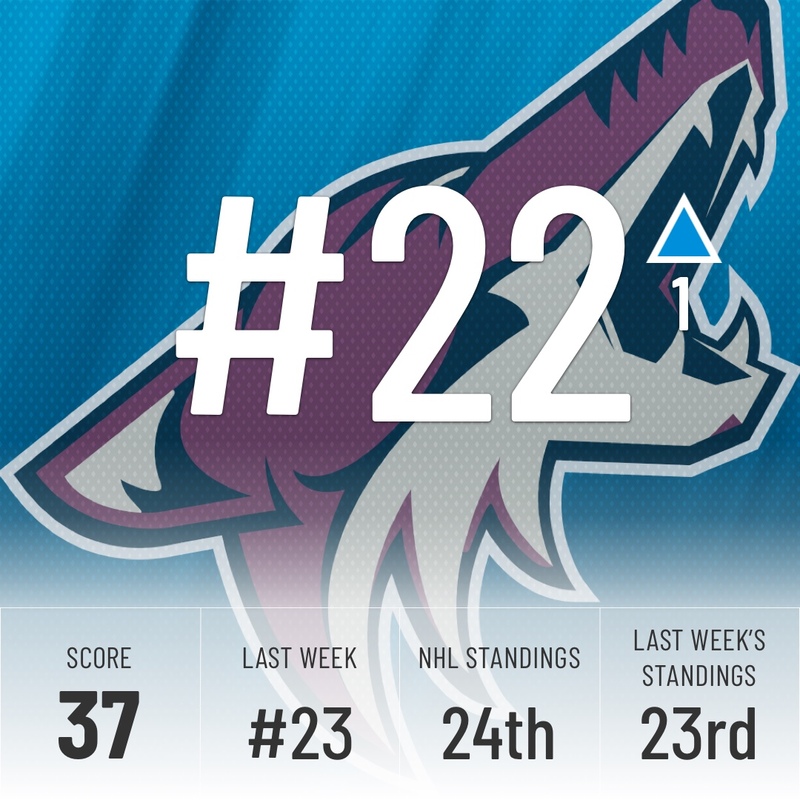 Their streak was unfortunately snapped by the Coyotes, but they’ve jumped to 4th in the standings, something the Super Computer saw coming a mile away. It had them 3rd all the way back on December 21st when they were only 9th in the NHL standings. 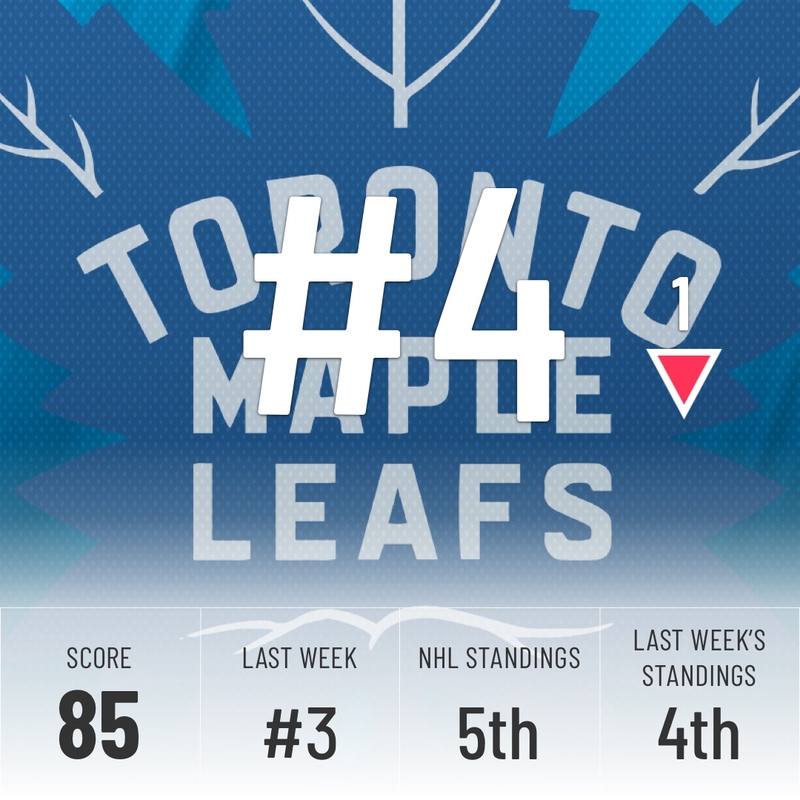 This was never going to be an easy week for the Leafs, with games against Colorado, Boston, and Tampa. They lost against the first two, but a big statement win over the Lightning could be the boost they need to start stringing together some wins after a rocky start to 2019. And if you’re worried about Auston Matthews having only one goal in his last 11 games, Mike Kelly breaks down what he needs to do to go back to his scoring ways. Auston Matthews has just one goal in his last 10 games - the worst stretch of his career since his rookie season. Why the slump? Or more importantly, how can he fix it? 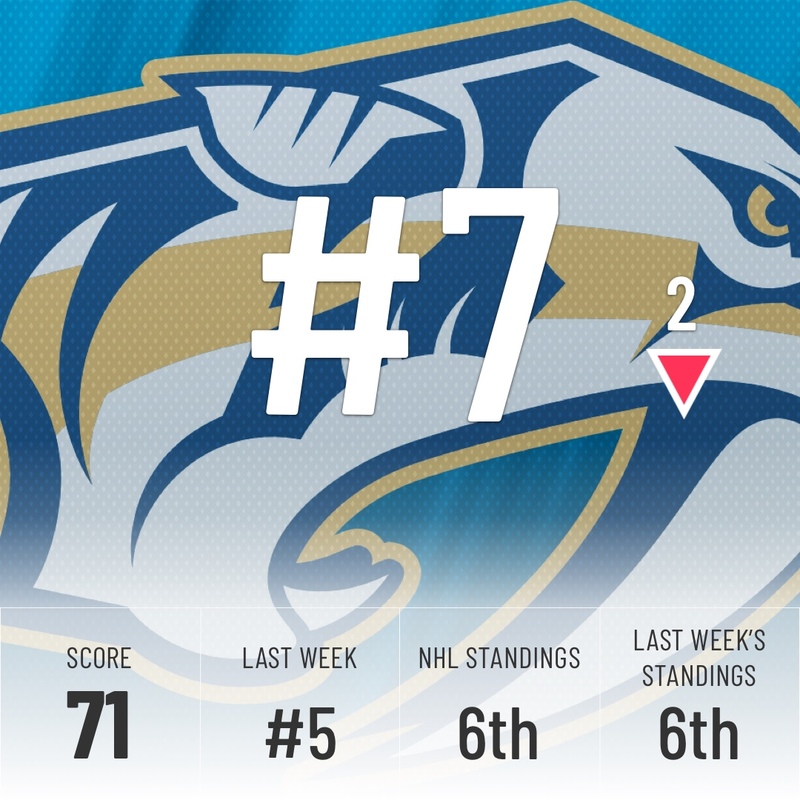 It looks like the Jets were insulted by the 5-place drop the super Computer gave them last week and they answered with a perfect 4-win week, including a 5-1 beating of the Nashville Predators. 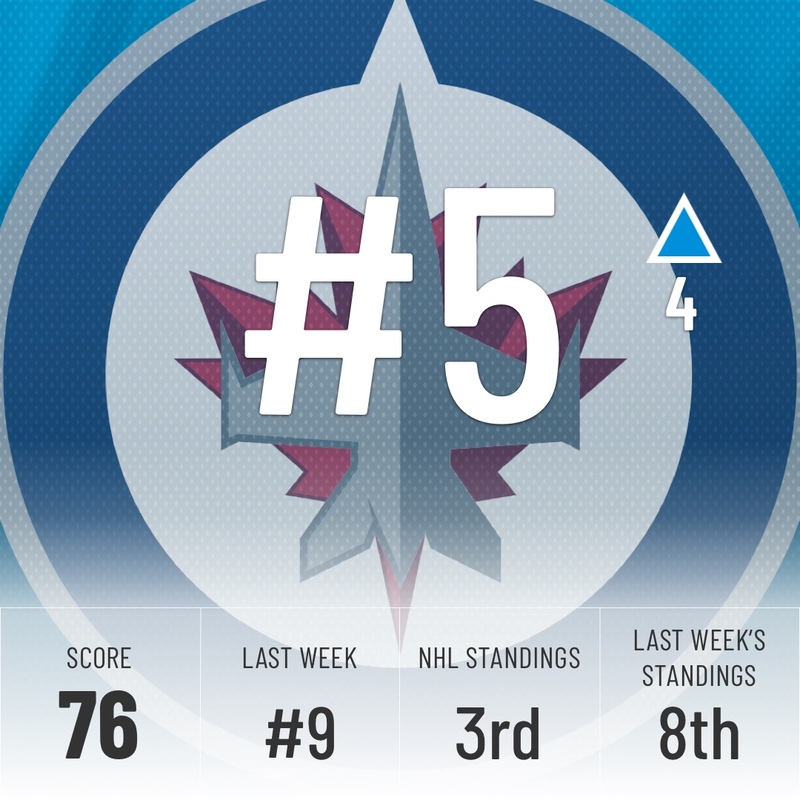 The Super Computer realized its mistake and bumped them back up four spots, but he hasn’t seen enough to call Winnipeg a top-3 team, even though that’s where they are in the standings. 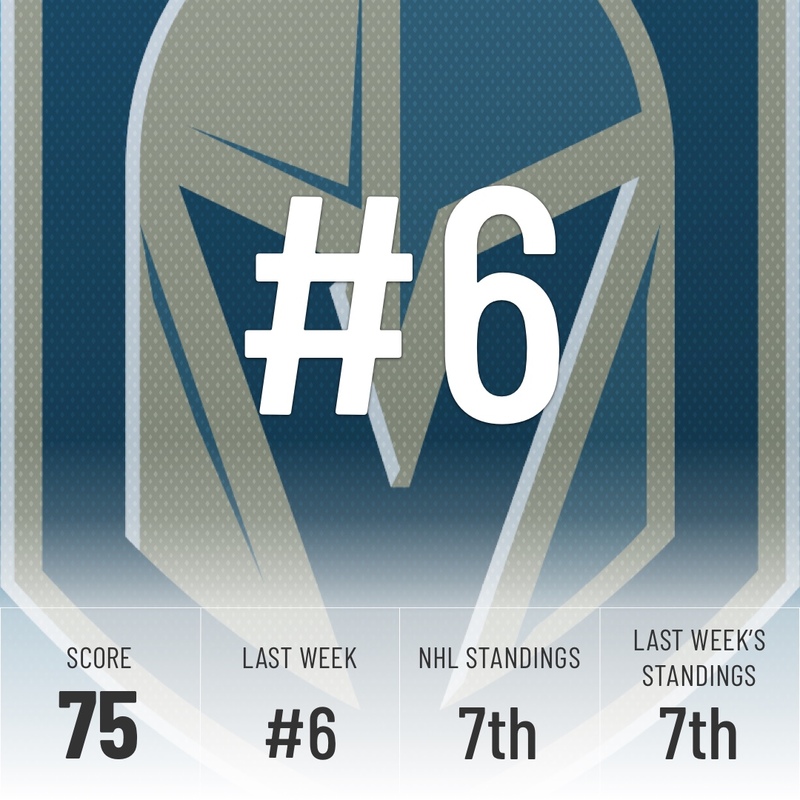 Nashville and Vegas currently have the exact same record in a tie for 6th place in the standings, but the Super Computer thinks Vegas is the team that deserves to be ahead. Just like last year, they have one of the best home-ice advantages in the league. They’re currently 15-4-3 when playing in Sin City. It was a week of blowouts for Nashville. Unfortunately, they were on the right side of it only once in three games. Big losses to the Hurricanes and Jets drop them in the Rankings, but they still have a very comfortable 10-point lead on 3rd place in the central. Unless they collapse in epic fashion, the playoffs are a near-lock (knock on wood). 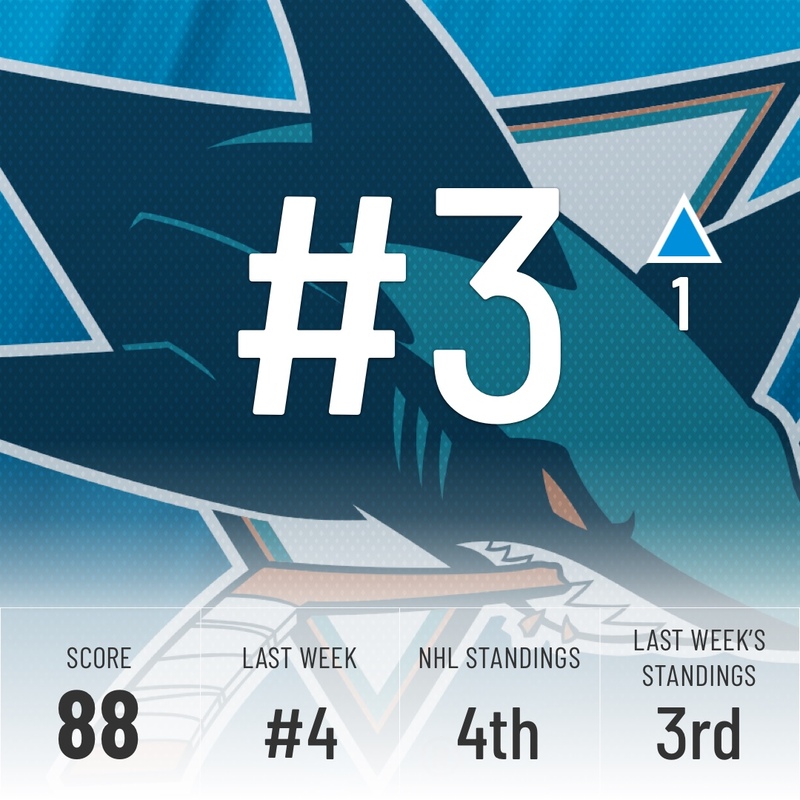 They may be 13th in the standings and currently in a wildcard spot, but the Super Computer believes they are the best team in their division. 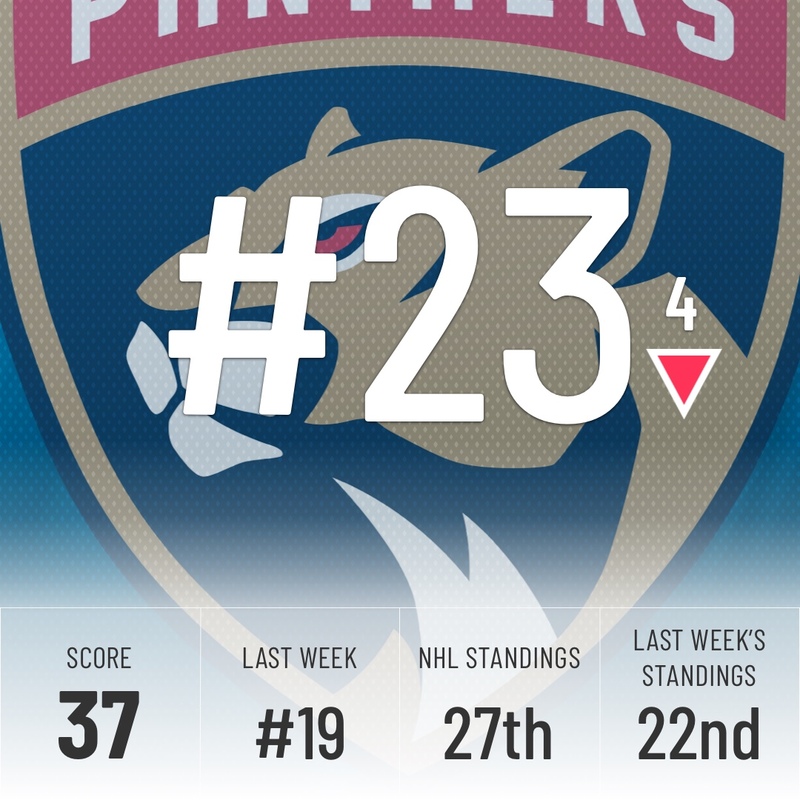 They have a massive +26 goal differential, tied with the Sharks for 5th-best in the league and have won seven of their last ten. 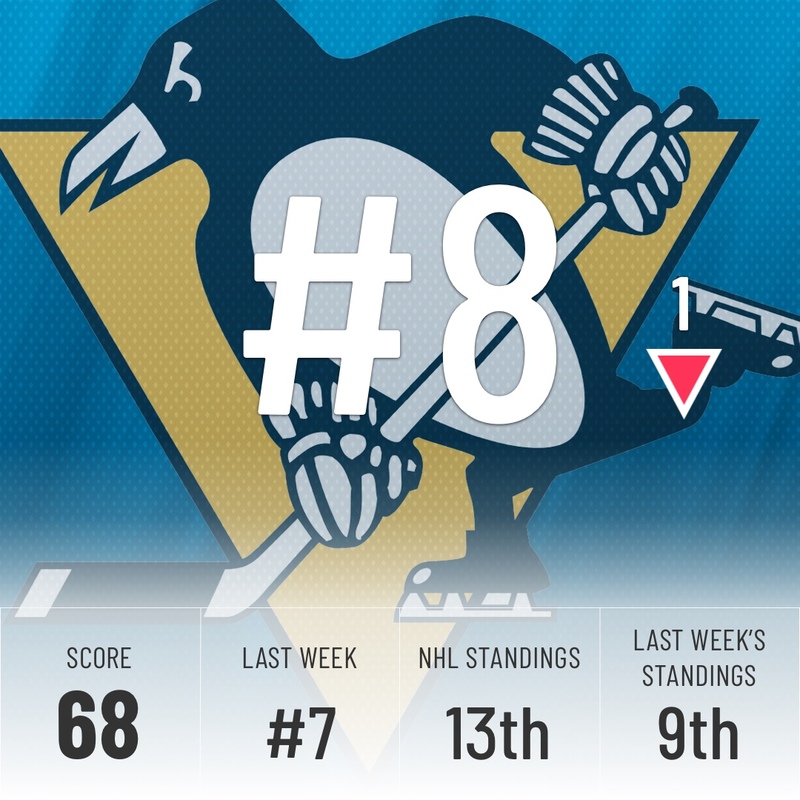 Their poor start of the season is still weighing down their overall record, but they’ve been the same ol’ Pens lately and that means they are a Cup contender. Once again. The Bruins have been hit hard by injuries this year, but now that they’re mostly healthy, we can finally see how good they can be. Just like Pittsburgh, they’ve won seven of their last ten games and they’re just one point off the Maple Leafs, although Toronto has two games in hand. There’s a very good chance they meet in the playoffs and, with the way last year went, it’s guaranteed to be a very intense series. Oh, how the mighty have fallen. 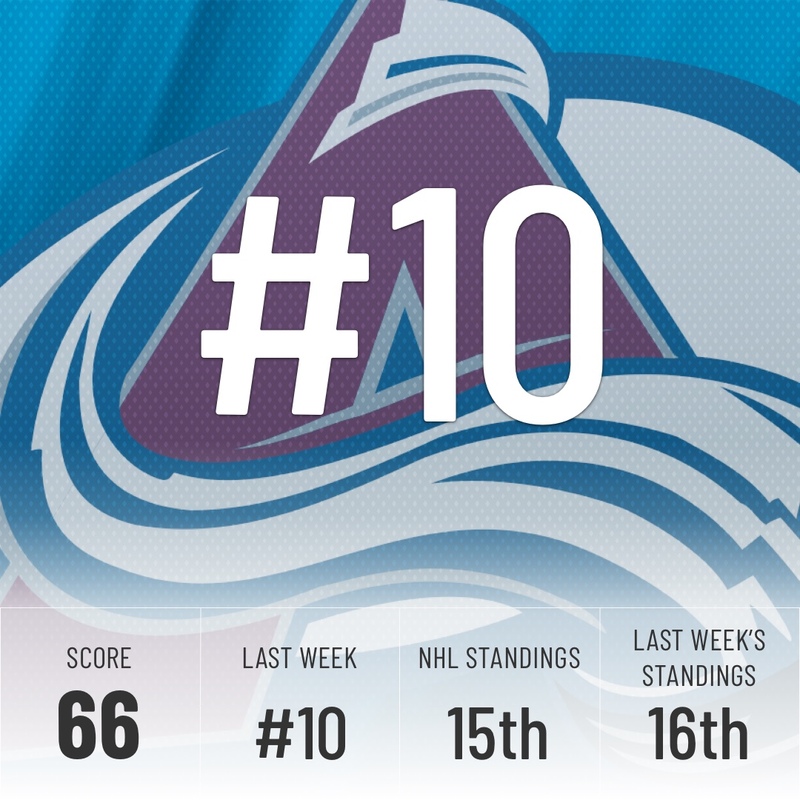 The Avs were 5th in the league when December rolled around. Since December 1st, they’ve been the worst team in the NHL, scoring a meager 15 points, one fewer than the Ottawa Senators. They’ve won just six games in that span. The Super Computer still believes they can turn it around, but they have to do it quickly. They’re just one point up on the last wildcard spot in the West. 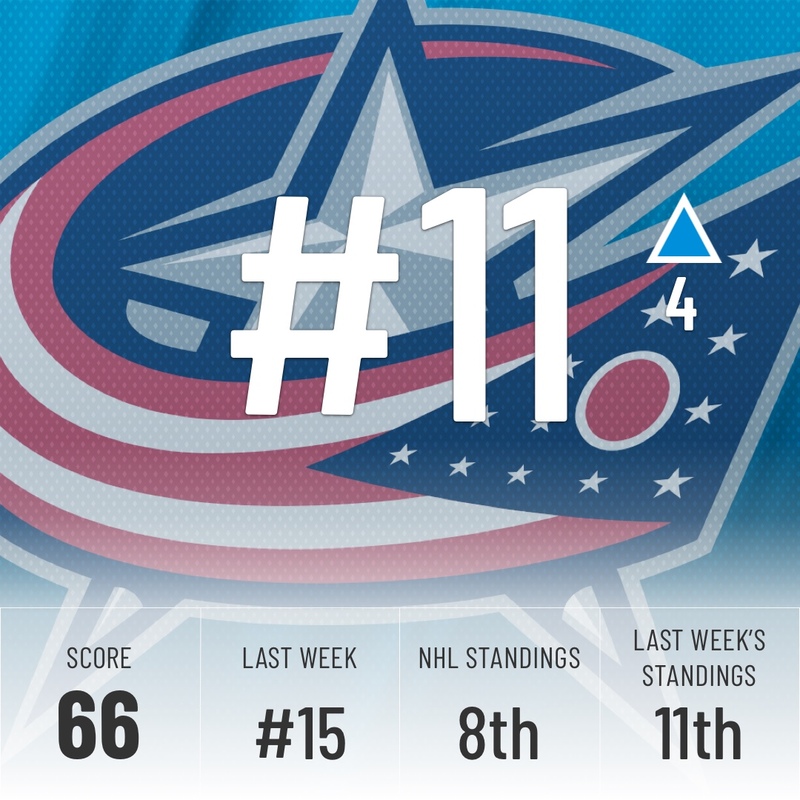 The Blue Jackets currently lead the Metro, but that doesn’t impress the Super Computer, even coming off a four-game win streak. The Metropolitan is the only division in the NHL without a 60-point team. 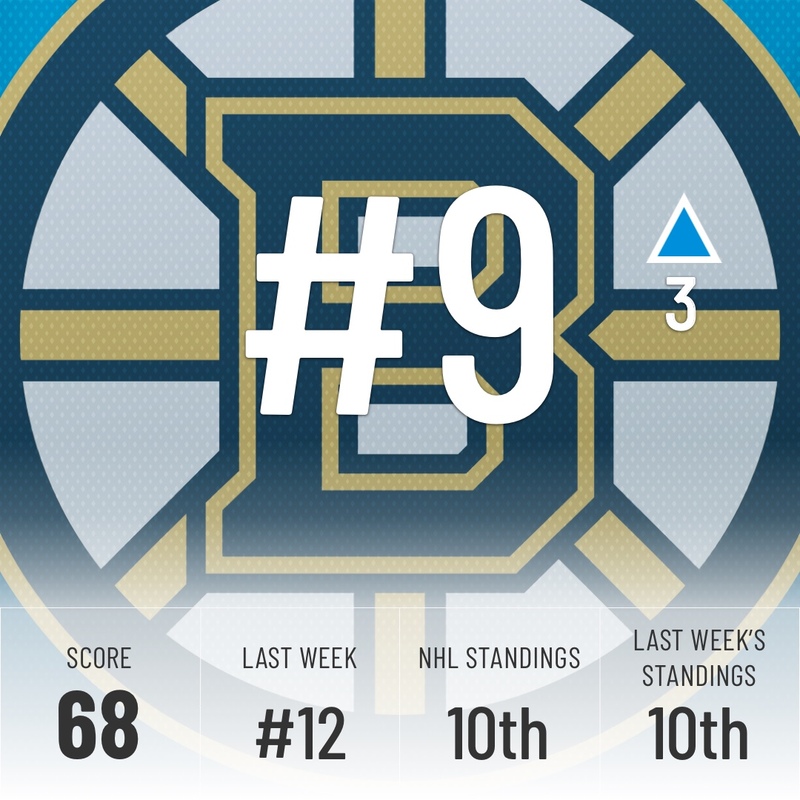 Their +12 goal differential is only second-best among playoff teams in the East. They’ll have to do more to convince the Computer they’re a top ten team. 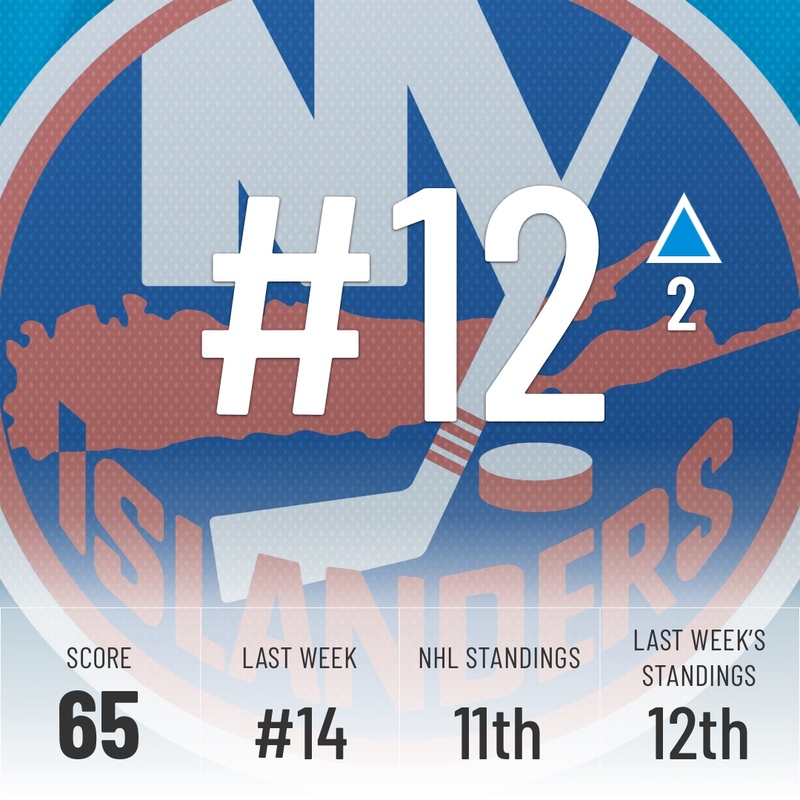 The Islanders continue to defy expectations. 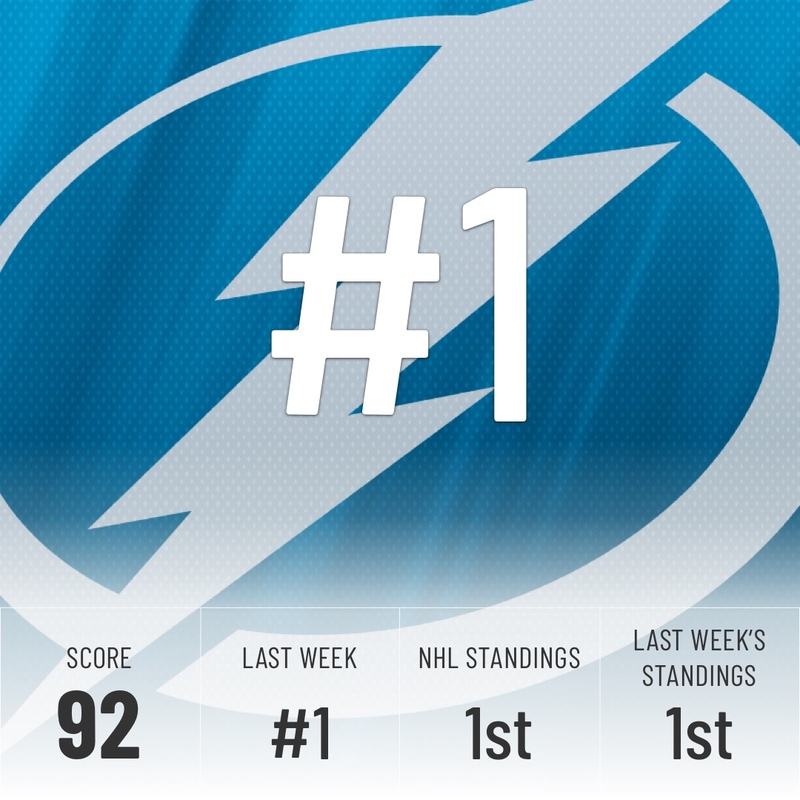 They’ve won their last three games, including a massive 5-1 win over the league-best Lightning. They currently allow a league-best 2.52 goals/game after allowing a league-worst 3.57/game just last season, Barry Trotz has to be at least a finalist for the Jack Adams. The Capitals lost a key game against Columbus in overtime to start the week. A win there would have them on top of the division. Instead, they lost the next two games and the Super Computer drops them five spots and out of the top 10. They have another key divisional game Friday night against the Islanders, with the winner taking the lead in the Metro, possibly tied with Columbus depending on how they perform against the Canadiens. 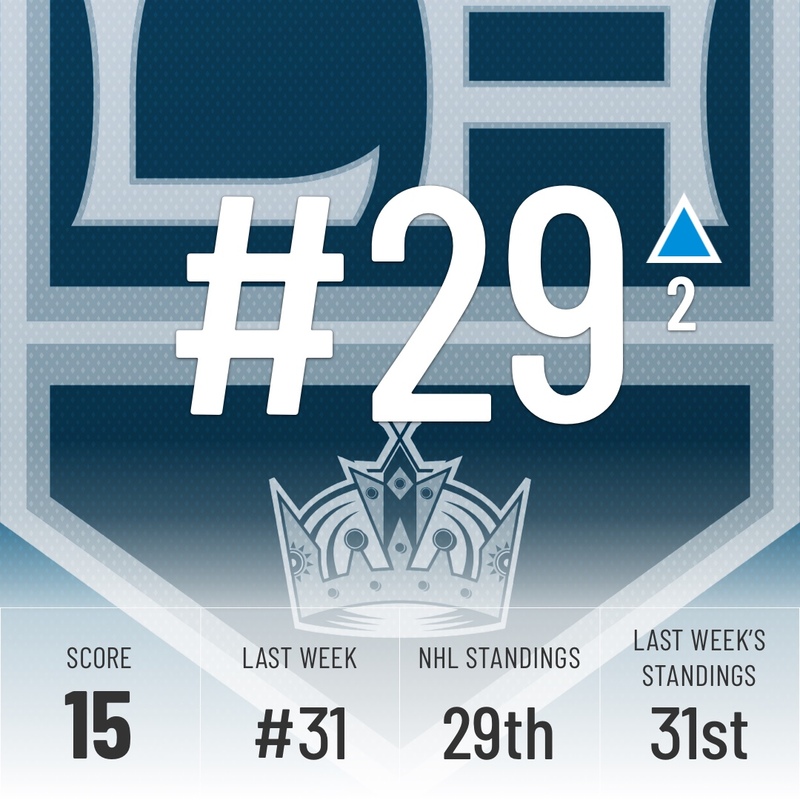 When your only win in four games comes against the Kings in shootouts, you’re going to fall down the standings. That’s just a fact. The most interesting parts of the Wild’s week were the two seemingly lopsided transactions they made. Acquiring Pontus Aberg (37 gp, 11-8-19) from the Ducks for Justin Kloos, a 25-year-old with one career NHL game, looks like highway robbery. Unfortunately, they were on the wrong side on their next deal, where they shipped Nino Niederreiter to the Hurricanes for Victor Rask in a one-for-one. 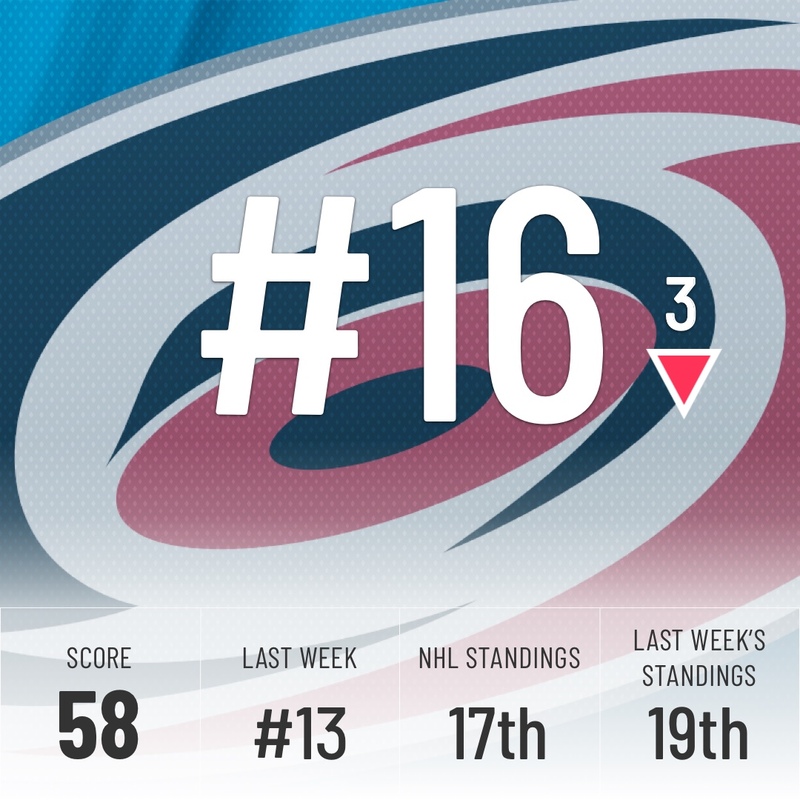 At first glance, it looks like the Hurricanes got the better player. The Minnesota Wild and Carolina Hurricanes have swapped forwards. 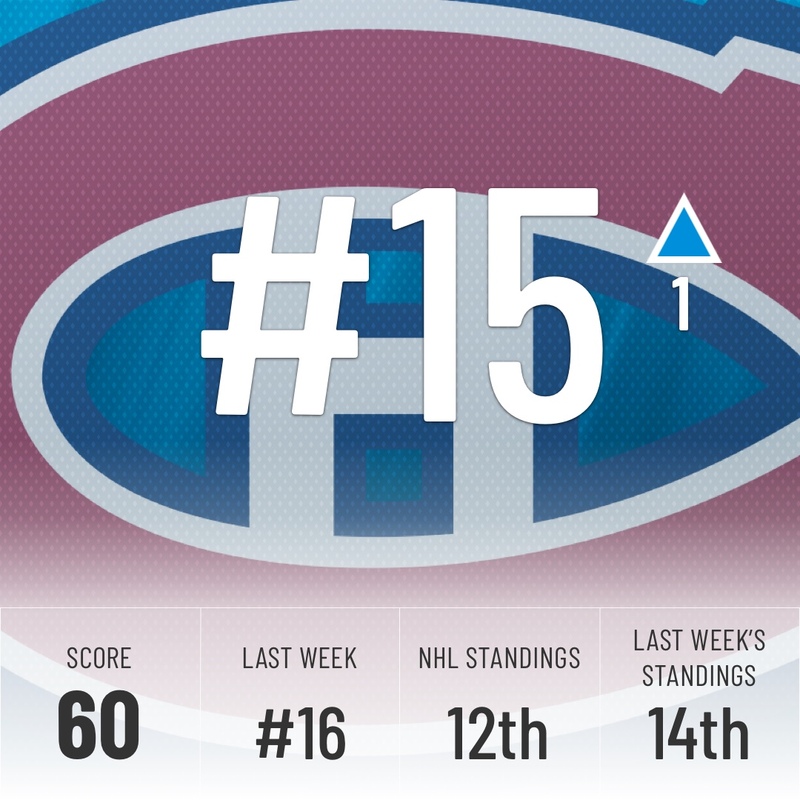 The Habs started off strong with a 3-0 win over the Avalanche to kick off a 3-0-0 week. Unfortunately, a shutout win over Colorado doesn’t mean as much today as it did in November. The Super Computer bumps them up one spot for their good week, but their +4 goal differential is the lowest of any Eastern team currently in a playoff spot. Until they can run it up, they will remain in the middle of the standings. The Super Computer likes teams who get a lot of quality shots and the Hurricanes are one of them. The problem is they haven’t shown the ability to finish and the Super Computer finally lost patience with them and drops them three spots. Hopefully, Nino Niederreiter can help them bury a few more goals and continue their winning ways. 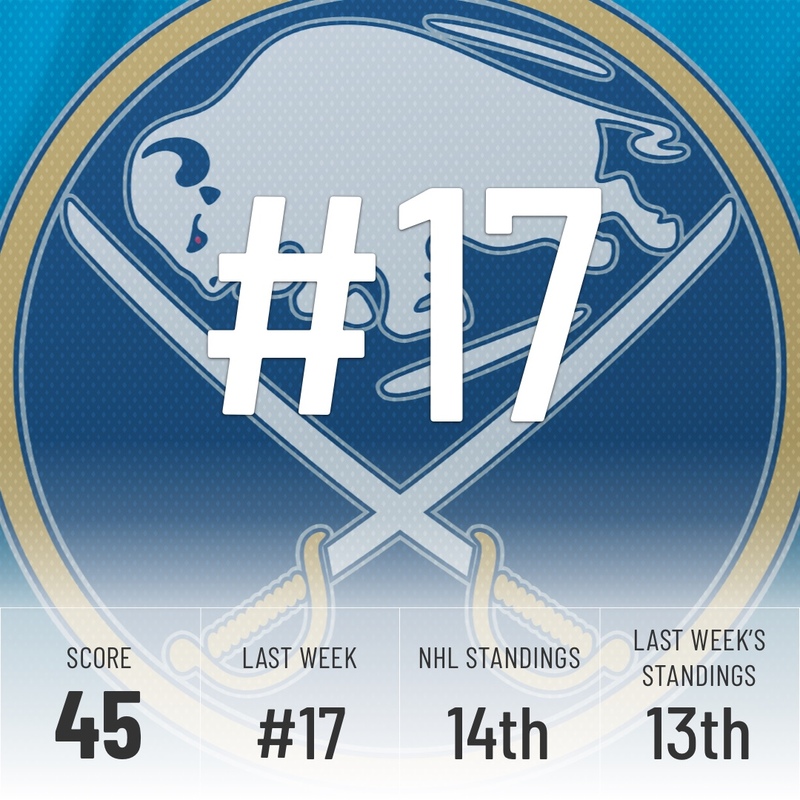 The Sabres may have only won one game in four tries this week, but beating the 2nd-place Flames is enough to maintain their place in the Rankings. They’re still in the thick of the wildcard hunt and that in itself is a win after finishing dead last a year ago, regardless of if they make the playoffs or not. 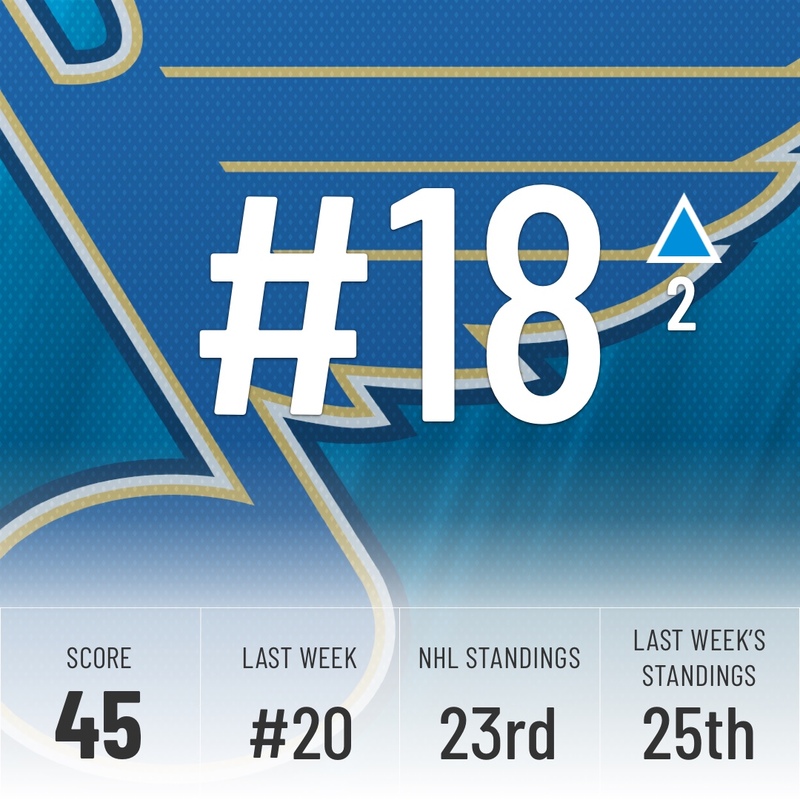 The Blues creep up another couple of spots this week in both our Rankings and the standings. One more win in January would guarantee St. Louis their first month over .500 this season. Despite their horrid start of the season, they’re still very much in the thick of it, as they stand just four games away from the last wildcard spot with a game in hand. The Super Computer likes them, so keep an eye on them for the second half of the season. 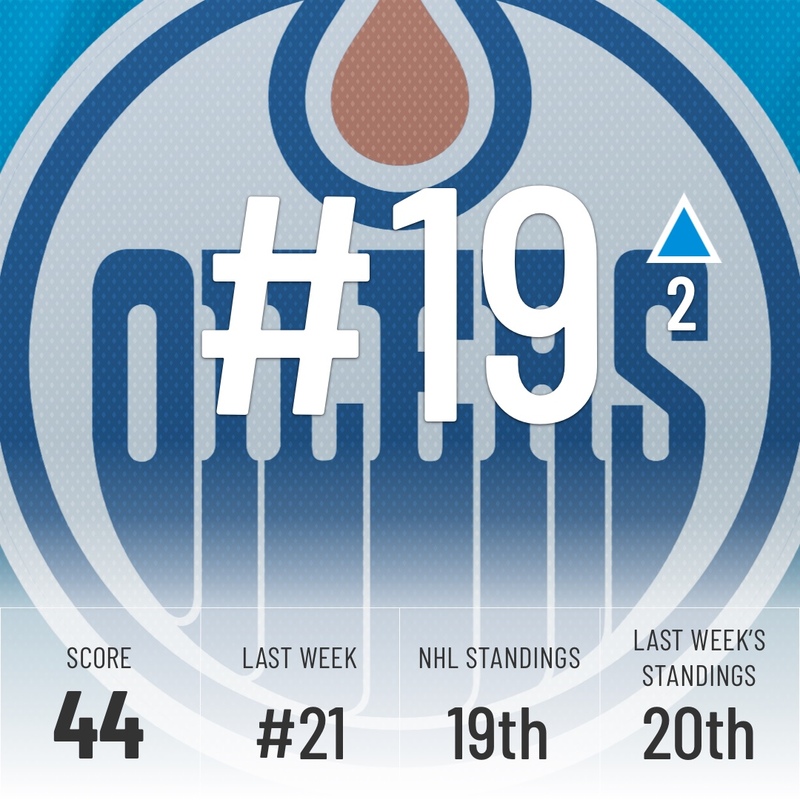 Two wins this week moves the Oilers in a tie with the Wild for the last wildcard spot, but the attention in Edmonton has shifted to the front office. Peter Chiarelli is reportedly looking at every way possible to add forward help. Oilers fans are skeptical given his trade record, but with Oscar Klefbom nearing a return, there is no doubt forward is the biggest need for the Oilers. With their first-round pick and Jesse Puljujarvi, they could theoretically add a big piece to help out McDavid. Isaac Newton’s third law of motion: for every action, there is an equal and opposite reaction. 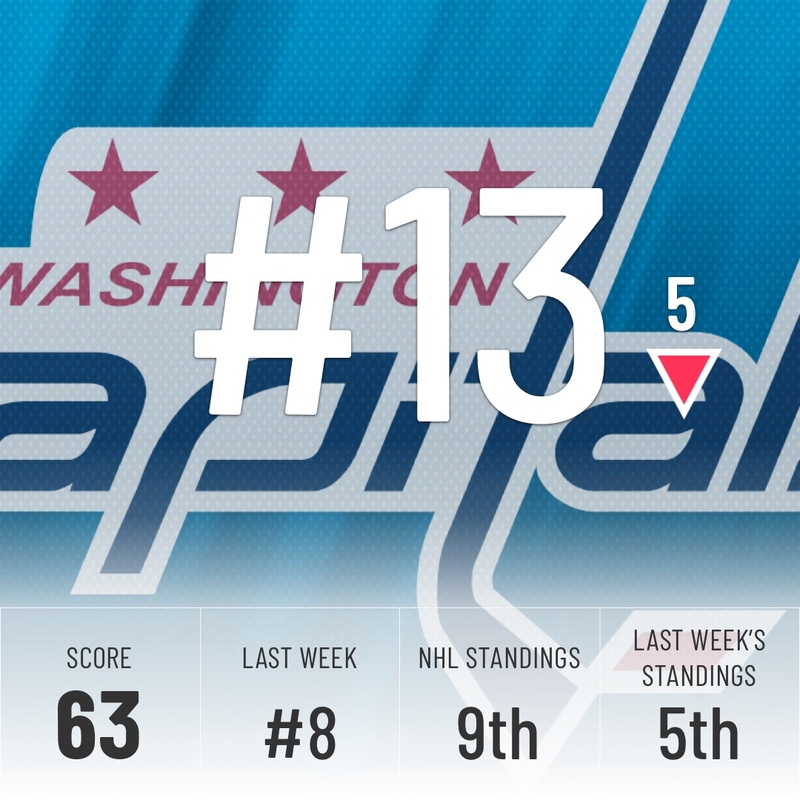 Well, if you lose to the Kings, you fall down the Rankings. It’s just how things work. A four-game losing streak doesn’t help either. 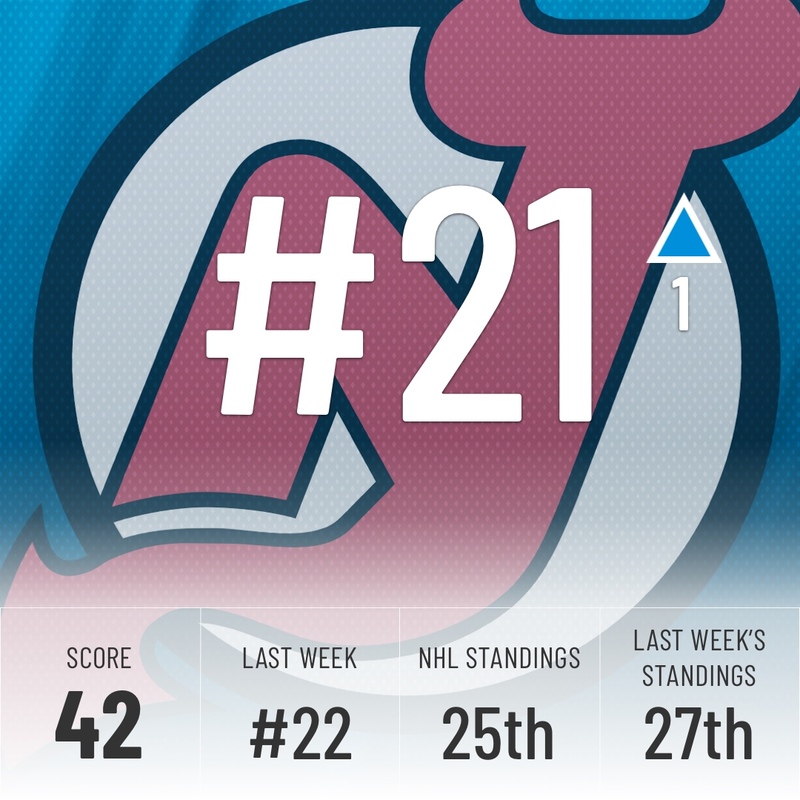 One of six teams to be within two points of last place, the Devils made sure to stay on top of that list with wins against the teams below them and losses against the teams ahead of them this week. The Devils desperately need Taylor Hall back in the mix even though they managed to put up eight goals against the Blackhawks. The Coyotes continue to defy the odds by not succumbing to the plethora of injuries they’ve endured this year. After taking a beatdown against Calgary, the ‘Yotes rebounded by taking down the Sharks who are one of the best teams in the league right now. 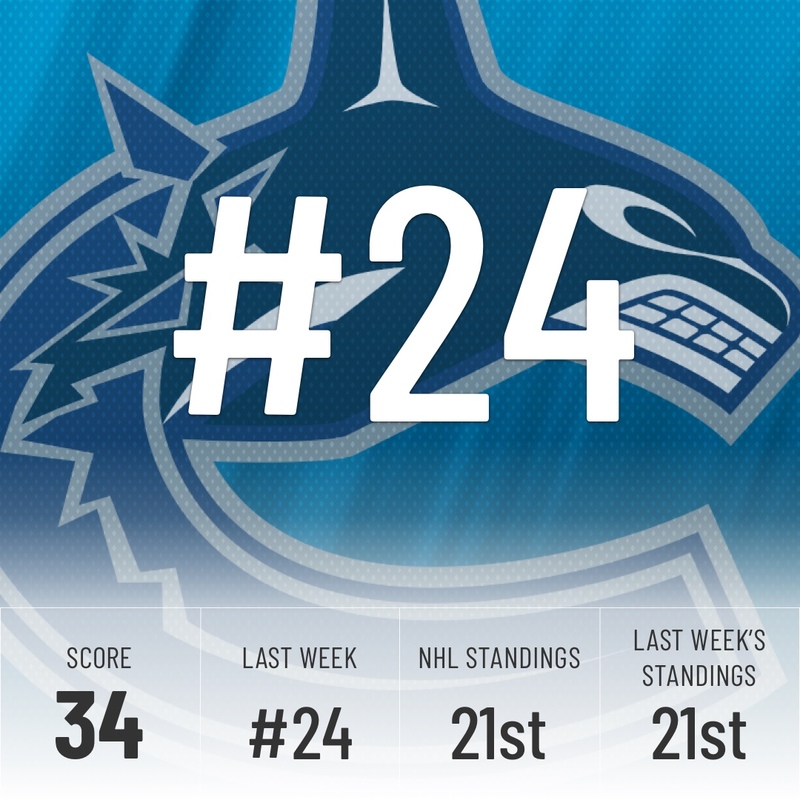 The Super Computer loves their tenacity and moved them up one spot in our rankings as a reward. The Panthers are the only winless teams in 2019. They are playing with a fundamentally flawed approach as we detailed here. They’re focusing on getting high shot totals regardless of quality. This could cost Bob Boughner his job before long and likely has already cost a playoff spot for Florida. 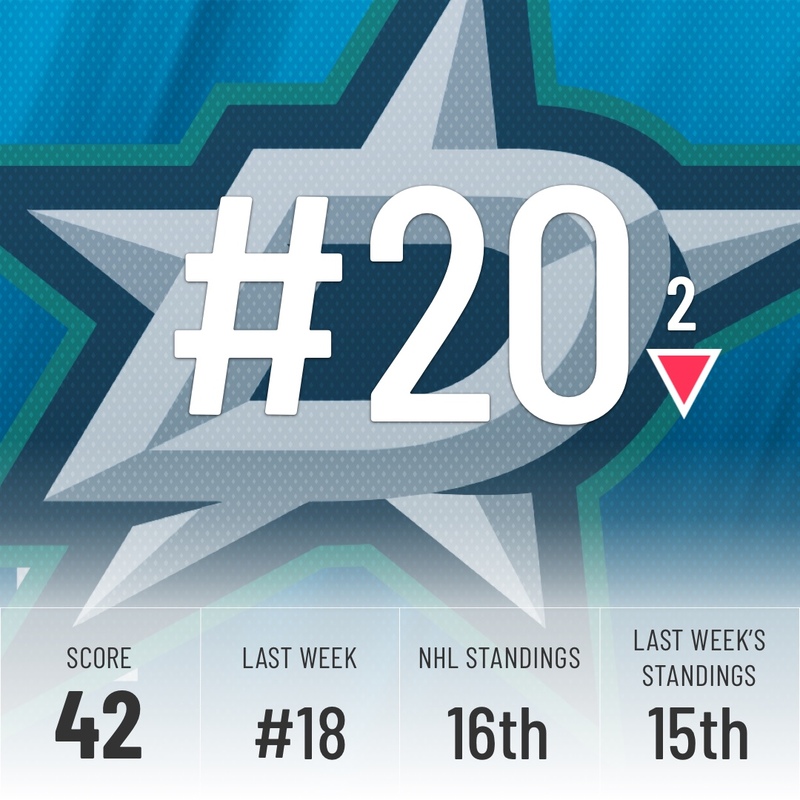 No change in the standings this week for Vancouver and no change in our rankings. The Canucks are keeping afloat without Elias Pettersson in their lineup but the sooner he comes back, the better. One point out of a playoff spot from this team is a great accomplishment and it will be interesting to see if they can make a late push to get in the playoffs. 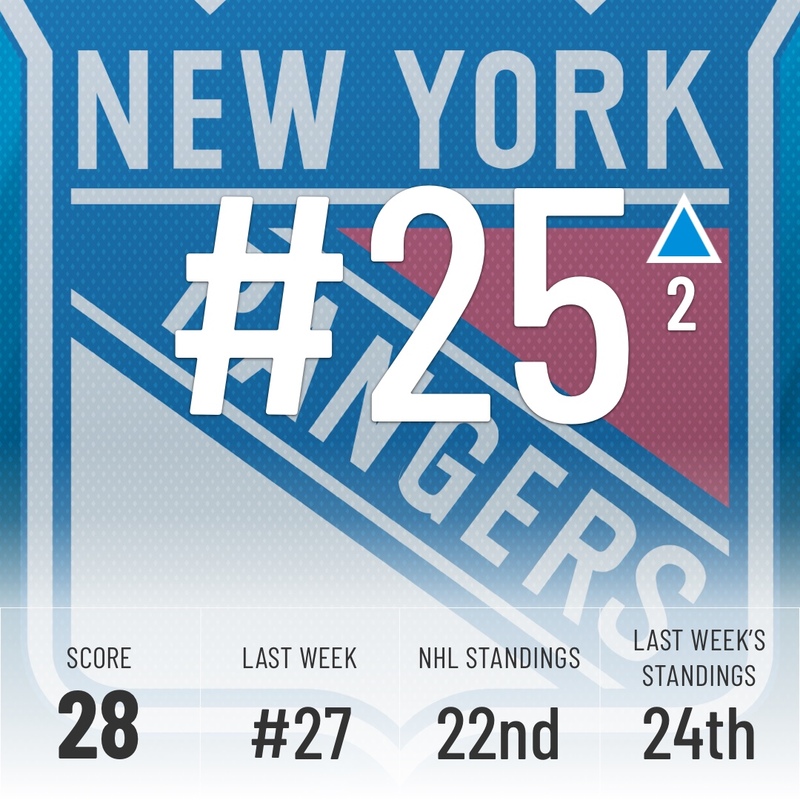 The Rangers went two weeks in a row sliding down our rankings but turned it around this week with three wins. New York is all over the trade bait boards with most of their roster being considered. The next few weeks should be really interesting for this team as we wait and see what their GM, Jeff Gorton, decides to do. With playoff hopes all but gone, this season is all about Carter Hart. He’s been the best of the seven Philly goalies to take the ice so far and looks like he is the real deal. If he can truly establish himself as the franchise goalie the Flyers have desperately needed, they could be a force next year. And with Gritty feeling better than ever, morale should at least remain high to end the year. A win! 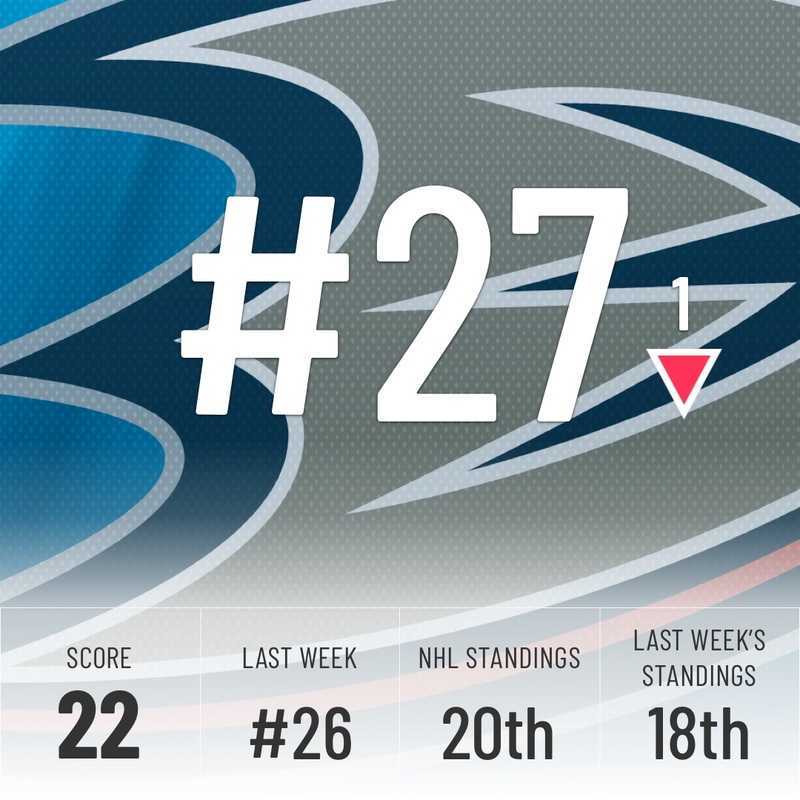 The Ducks finally managed to get a W to snap their horrid 12-game losing streak. 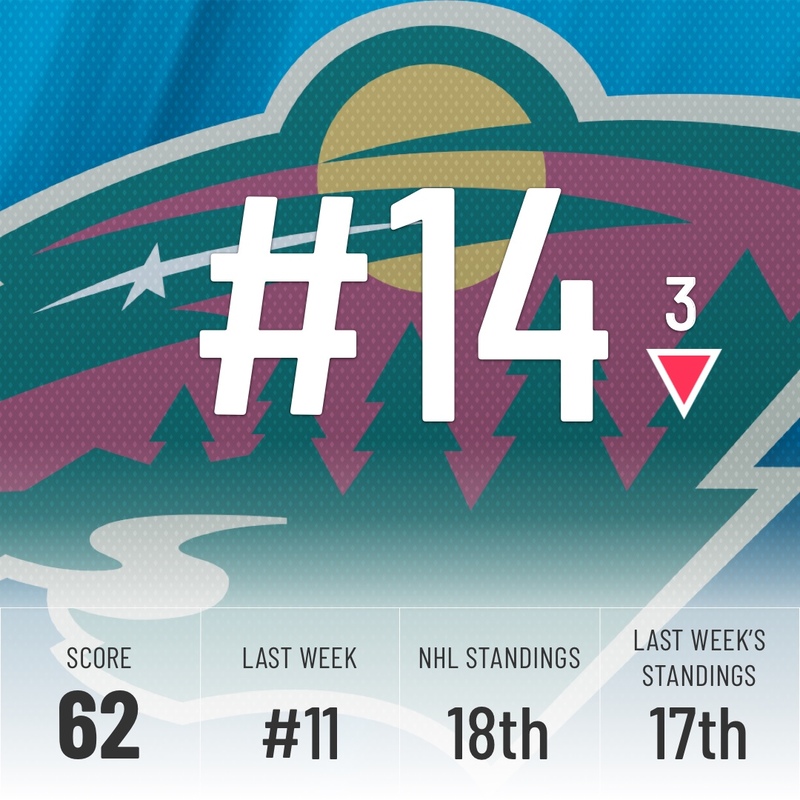 They still lost three more times this week before beating the Wild, so the Super Computer drops them one spot. Given their recent play, that’s a pretty gentle drop but the Super Computer is still trying to figure out Ducks GM, Bob Murray’s, most recent moves. The Red Wings won two straight games for the first time since the middle of November. 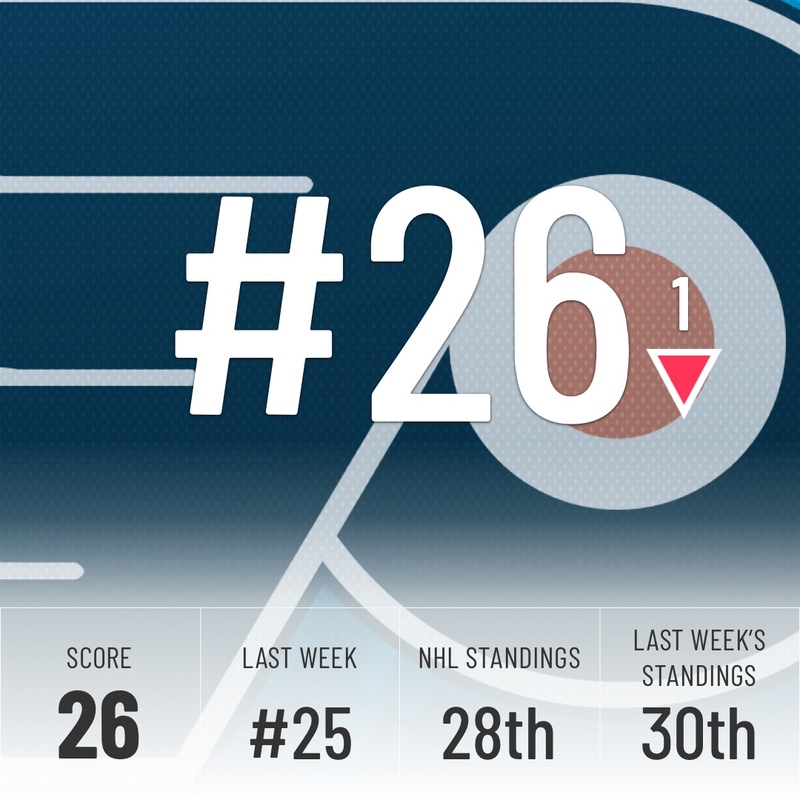 They “shoot up” to 26th in the standings, joining the gaggle of teams within a couple of points of last place. Detroit’s focus is rightly on the trade deadline now. They’re reportedly asking for first-round picks for both Jimmy Howard and Gustav Nyquist. Time will tell if teams match their asking price, but making sure both aren’t on the roster after the deadline is a must. 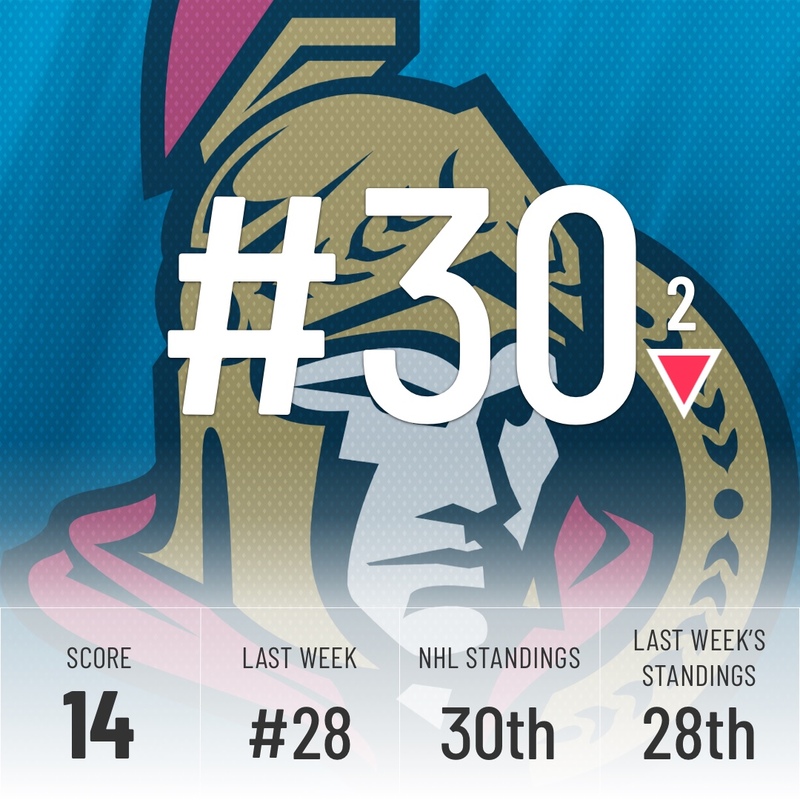 The Sens won a game, but with the Kings and Red Wings winning a couple each, Ottawa falls down the rankings. The margin for error (or the margin for success?) is small in the ultra-uncompetitive bottom five. They also got Thomas Chabot and Matt Duchene back in the lineup this week, so they’ll at least be more entertaining to watch. 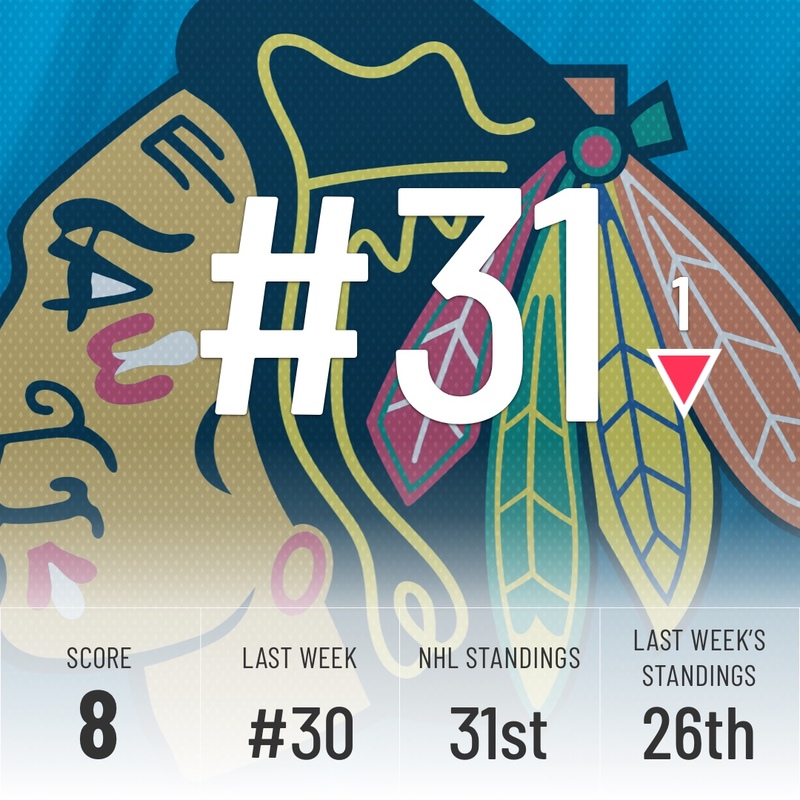 The competition is fierce for the last spot in our rankings, but Chicago did its best to take the last place crown from the Kings, pun intended. With only one win in 2019 and five straight Ls, they’re now leading the Jack Hughes sweepstakes. At least they found a way to fix their powerplay, as we outlined here.